One way to learn more about the places you visit is to bond with locals during holidays. Every country has different customs, so here we talk a little about some days you won’t want to miss to party and eat good food while visiting Costa Rica. Celebrations start the previous day at 6pm when all costa ricans have to stand up and sing the national anthem, followed by a lantern parade in every town. Kids make their own lanterns, it’s a very familiar and happy activity. On September 15th morning be sure to be near a school so you can enjoy all music and choreographies in the cities main streets. Every school prepares for months for this parade, it is a happy very musical day. Desfile de faroles temprano, 2015. Cimarronas celebrando la independencia, 2010. Allan Javier Aguilar Castillo. The Los Angeles virgin is the saint patroness of Costa Rica, and to venerate her, devotees walk to Cartago from every spot in the country. The peregrination starts the day before when the old main road to Cartago gets closed for walkers to go safe. When arriving to the Basilica you can go see the Virgin’s image and at noon there’s a mass for all congregation. To live fully the Christmas spirit, the San Jose mayor’s office organizes a great night parade of floats and choreographies through San José’s main avenue. Full of color, lights -as the name of the parade says- big companies sponsor a float every year and prepare dances for people to celebrate the season. Since during December it rarely rains, people come from early that day to get a good spot. We just recommend you to bring a jacket, because at night it can be breezy. 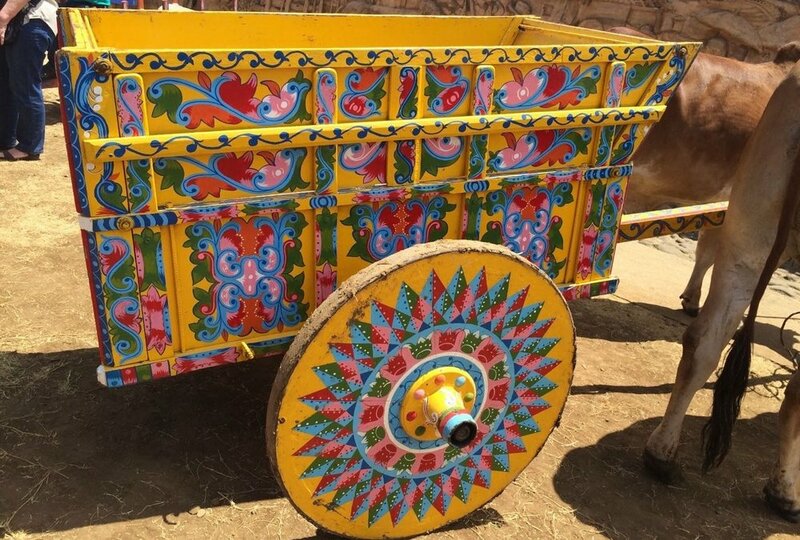 Our people has always been proud to be farmers and since in the past they used to transport crops in oxcarts, we now celebrate them with a procession of beautiful hand painted carts. Every farmer brings their biggest oxs and walk through the streets of Escazú. You can enjoy also “cimarronas” which are traditional music and masquerade groups that belong to every town, they chase kids and dance with attendees. Because we like to celebrate the start of the year big time, Palmares offers a fair during most of January where you can go and enjoy traditional street food, live music and games. It starts with a “Tope” (horse ride through the streets) on Thursday where the best riders come and show their horse and abilities. John F Kennedy Street, 136st.